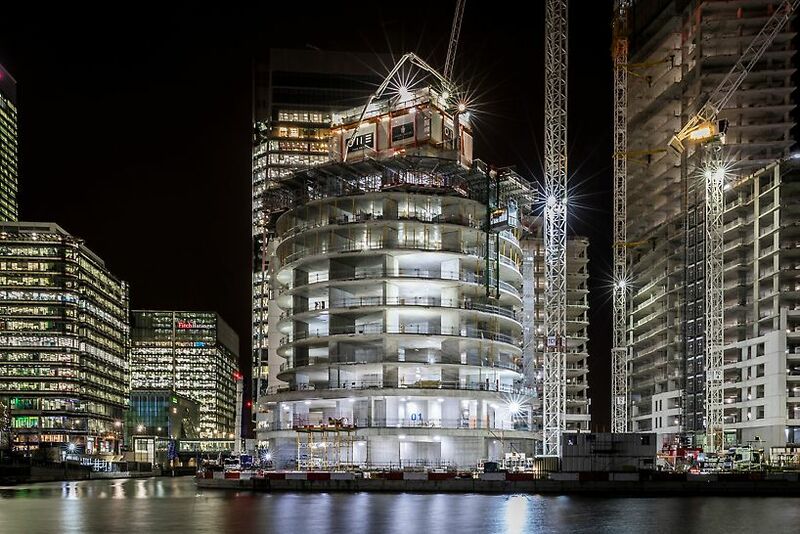 Canary Wharf’s One Park Drive, designed by Swiss architects Herzog and De Meuron, is a great example of ambitious architecture as the geometry of the building changes an impressive three times. 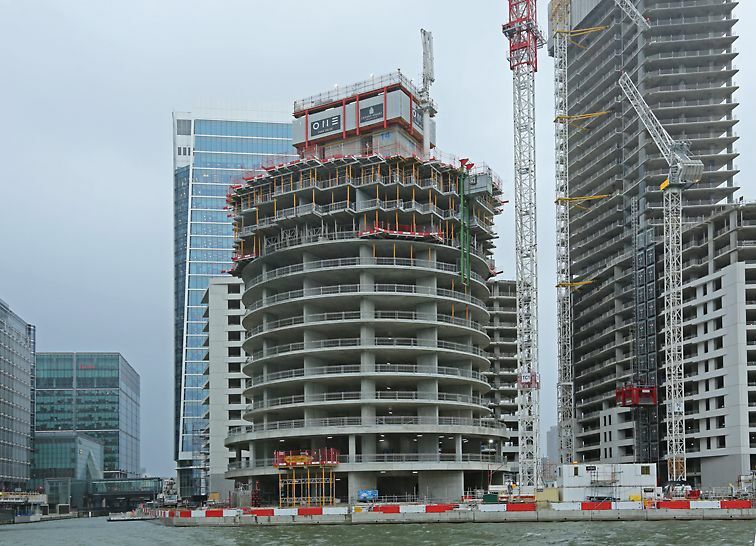 To help achieve its unique design, PERI was selected as sole formwork supplier for the shell and the core. As part of this, a well thought-out climbing solution was fundamental in order to realise the core and lift edge protection. Changes in geometry around the perimeter of the tower required flexible leading edge and weather protection. 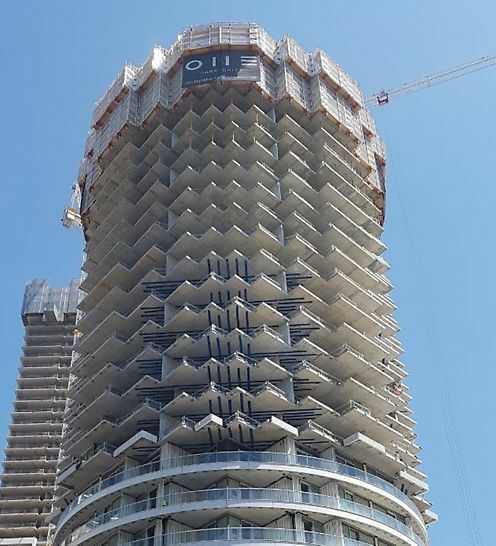 As part of this, a well thought-out climbing solution was fundamental in order to realise the core and lift edge protection. 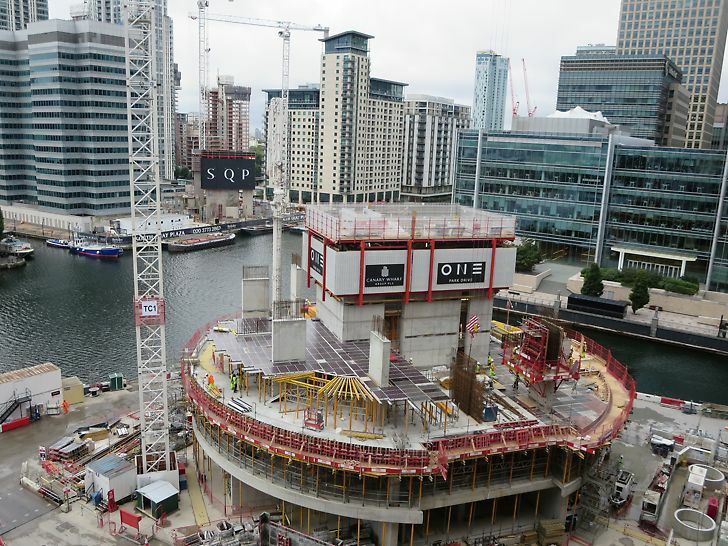 Lightweight Protection Screens (LPS) climbed on RCS pumps from the 10th floor up and were skilfully reshaped by PERI to meet slab profiles and account for wind loads as the structure evolved. This involved arranging special return screens of various sizes in order to transfer horizontal loads back into the floor slabs. A single RCS pump was capable of lifting two screens simultaneously. All ACS-P climbing anchors were installed on the inner walls. By anchoring the system in this way, PERI reduced the number of lost anchors, resulting in fewer operatives required on site. 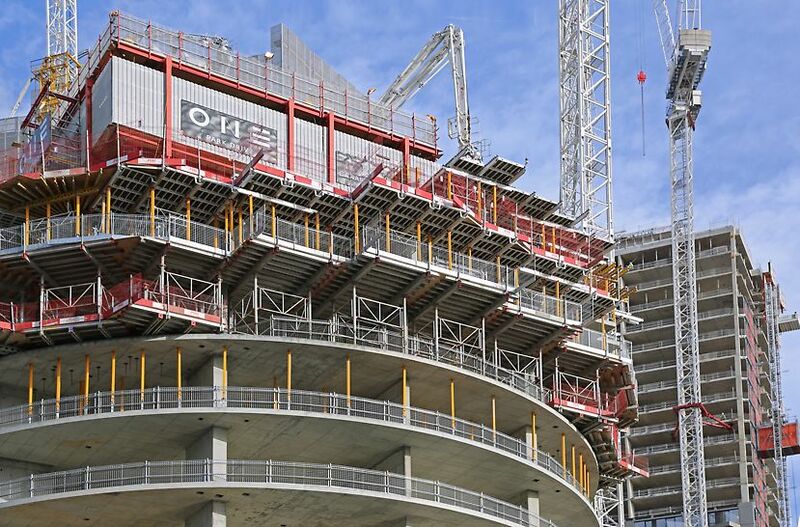 Anchors supported vertical loads of up to 120kN, including formwork loads and live loads. 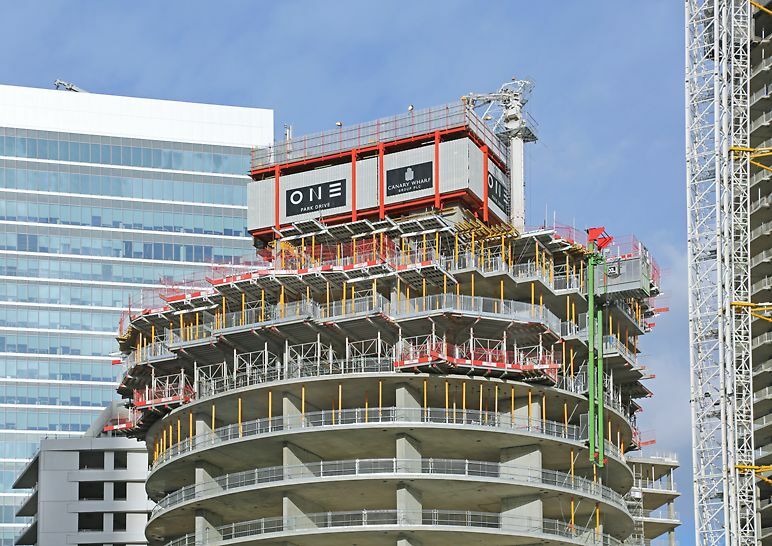 The ACS-P variant provided two generous working platforms and a safe enclosure at the top level, enabling workers to install reinforcement comfortably, even throughout windy conditions. The size of the platforms allowed for access between platform levels to be achieved using stairs instead of ladders. 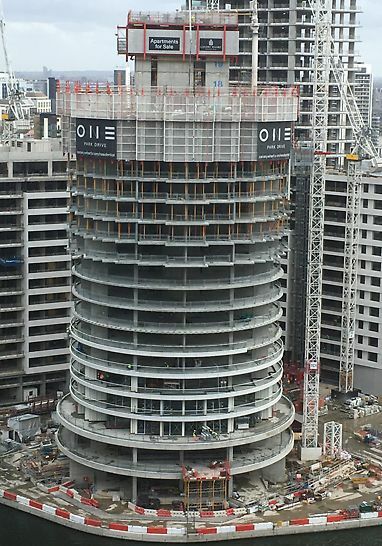 The shape of the core was formed using MAXIMO formwork. By using the MX tie technology, the customer benefitted from faster tie installation, as they did not need to apply sleeves to the tie rods. Furthermore, single-sided tie installation reduced the exposure to working at height.